All Acer batteries immediately from stock at the best price, directly from the distributor. 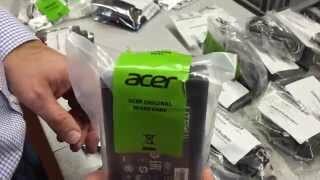 What are the advantages of ordering Acer batteries from us? The IPC Battery Finder helps you quickly and easily to find the right battery. We answer your questions about the battery installation without charge. Why should you order your Acer battery from IPC-Computer? 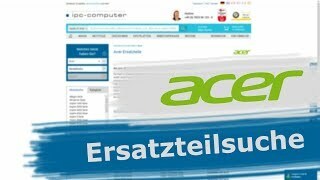 We are an official distributor of spare parts from Acer and sell only its original batteries. So we can guarantee that the battery has gone through a proper quality assurance and there is no danger during the use. You would like to have even more power for your Acer battery, but still no compromise in quality? Then premium replacement batteries from our own-brand IPC-Computer are just the right thing for you. Which Acer battery is the right one? Lithium-ion or lithium-polymer battery? This question is unnecessary, when you know, that the lithium-polymer battery is just a minor form of the lithium-ion battery. The difference solely exists in the construction form, by which the lithium-polymer battery is available in nearly any form and size. 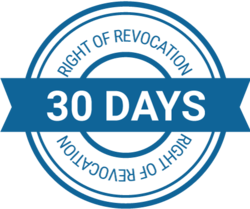 Which one you need depends ultimately on the construction form of your device. 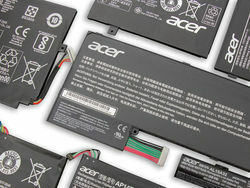 The quality of the Acer battery is also vital and in any case, you will find it in our shop. Do you have problems with the installation of your battery? If you have any questions, our experienced notebook technicians are at your disposal. We can also make ourselves the exchange of your battery by us. Simply send us your laptop and we will take care of it.